233 degrees F with life? I don't know about you, but this planet seems a bit too warm for life. Place	"233 degrees F with life?" Also, as I've said before, it's an average temperature. There may be much colder places on the planet where life is possible. In fairness, tardigrades like shown above aren't actually active at such temperatures -- if subjected to hostile conditions they basically curl up in an extremely tough little ball and become inert until conditions are appropriate for them again. 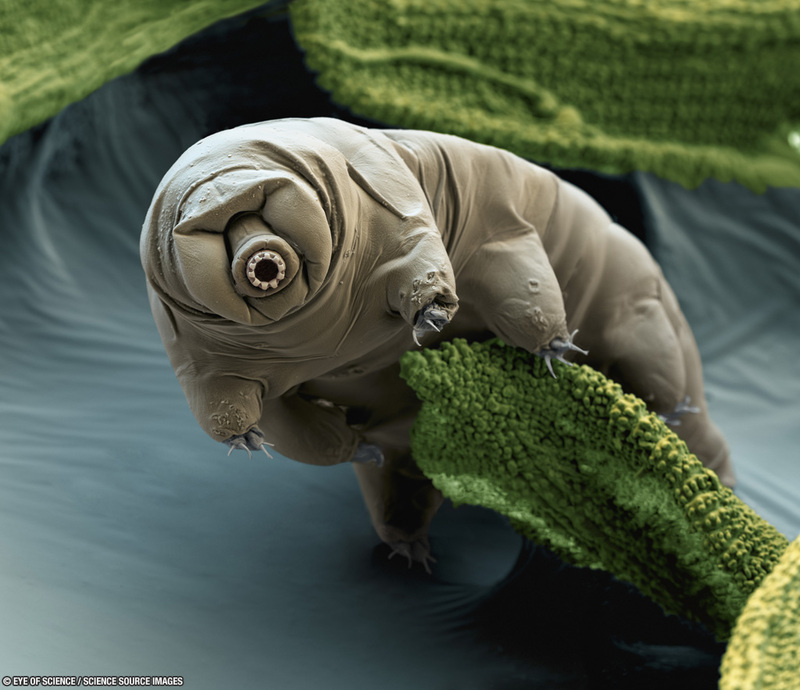 Tardigrades are some of the most resilient organisms known, and can survive exposure to vacuum, near absolute zero temperatures, or greater than boiling water, pressures several times greater than at the bottom of the worlds deepest ocean trenches (what on Earth is the practical use for that?! ), and radiation so intense that it would kill a human in minutes. They also look adorable. Most awesome creatures ever. There are however other examples of organisms on Earth (thermophiles, hyperthermophiles) that live, thrive, and even reproduce under very high temperatures; some of them even at temperatures well above 100°C. For example, Methanopyrus Kandleri.